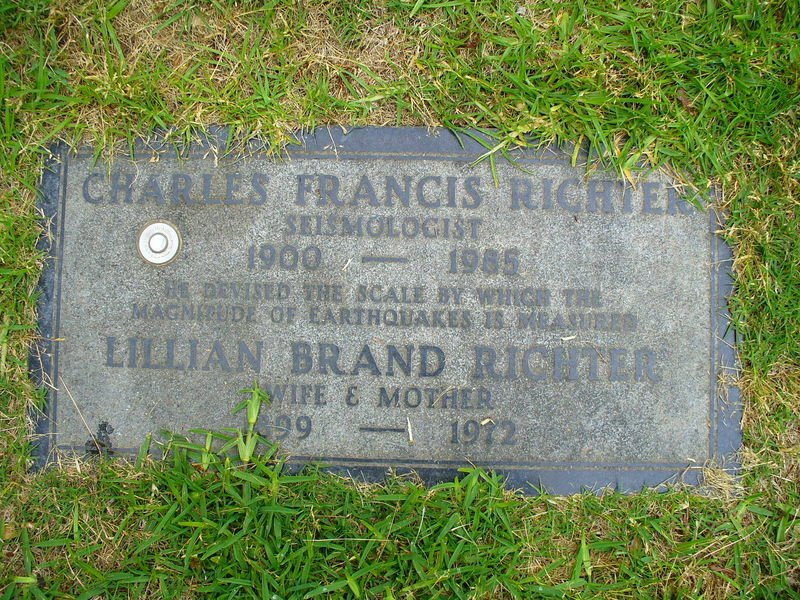 With earthquake disaster predictions in the news again here in California, Scott Michaels and I decided to stop by the grave of seismologist Charles Richter, inventor of the Richter Magnitude Scale, while we were perusing Mountain View Cemetery today. We noticed a very scientific looking button on his marker and wondered if we pushed it, would the ground start shaking? We did. It didn't. Upon closer inspection we learned it was what is called a Memory Medallion. Thanks to a brilliant marketing technique (an engraved dot com address) I visited the company's site when I got home and learned that these nifty little gadgets, when used with the company's Touch Wand, offers you the ability to access a photo and a biography of the deceased. 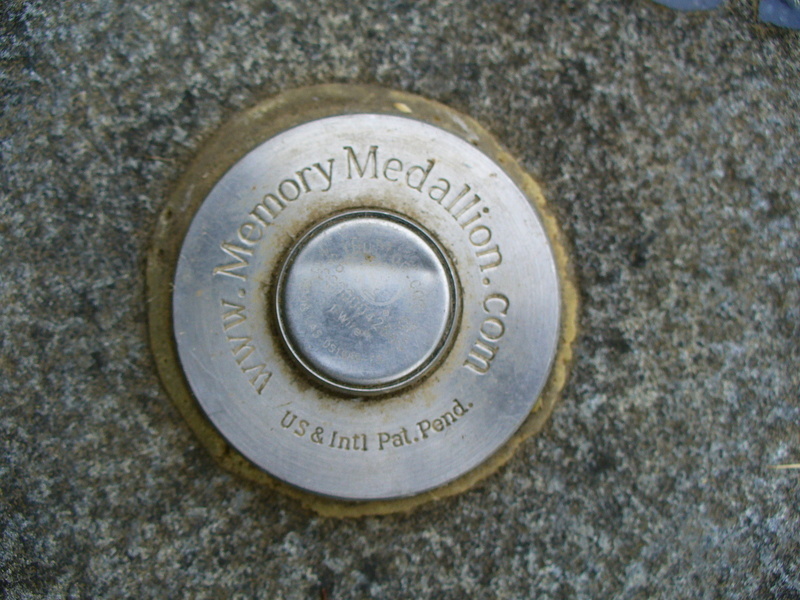 It was developed in 1999 by Glenn R. Toothman, Jr., who was inspired to create the technology when he became worried that future generations wouldn't have much of an inkling about who his parents were "between the dashes" of the birth and death dates on their gravestones. Coincidentally, Jim Tipton's photo of Mr. Richter's marker on Findagrave.com, pre-medallion, was taken the same year, 1999. Mr. Richter was a cutting edge inventor, and so is Mr. Toothman. Not surprising they ended up working together, so to speak. Read more about this genealogy tool at MemoryMedallion.com.